Mahindra recently launched the e2o all-electric car and since then we’ve been flooded by a number of queries on the car. And what has come out of that is a sense of apprehension of whether the Mahindra e20 (also called the Reva NXR) is a suitable choice or not. … You are a person who drives only 50 to 60 km a day at the most and will not exceed this range on any of your daily drives, and want the convenience of a feature-rich automatic. The Mahindra e2o has a maximum range of only 100 km per charge and this could come down depending on the weather conditions and accessories in use. … You are a person who already has a car or SUV that you can use for longer trips. The Mahindra e20 can seat four adults at a pinch, but is better off as a personal car or with two on board comfortably. It does not have too much luggage space, only enough for a couple of laptops and shopping bags. … You have a dedicated parking space for the car. When you buy a Mahindra e20 the company will come and install a dedicated charging slot for you at your home or parking spot. Make sure this is possible as the car takes five hours for a full charge. … You are a person who is concerned about the environment above all else. 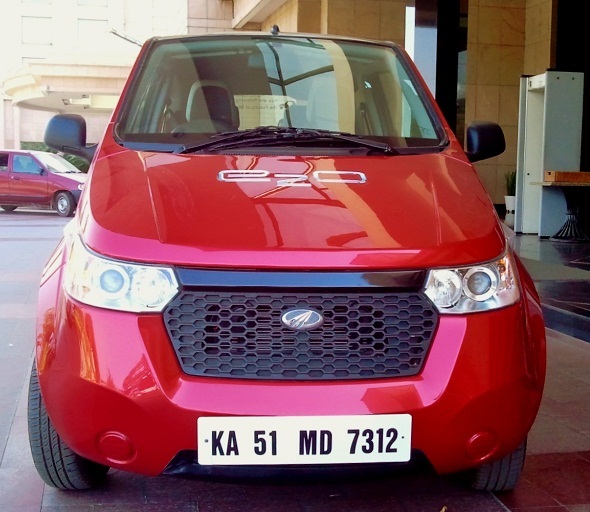 The Mahindra e20 has zero emissions being an all-electric vehicle. It will not pollute on its daily drives and would be even better if the electricity used to charge it comes from a clean-energy source like solar power, wind or hydro power. … You are going to use the Mahindra e2o as your only car. It has limited range and luggage capacity which may not suit all your needs. … You have to drive over 80-100 km in a day. Range anxiety can be a stressful thing and it’s not likely that you will get access to charging points everywhere or have the time for it. You run a big risk of getting stranded. So does the Mahindra e2o suit your needs? Let us know.